It seems that Samsung has opted for an aggressive strategy this year for not just smartphones, but all its product categories. 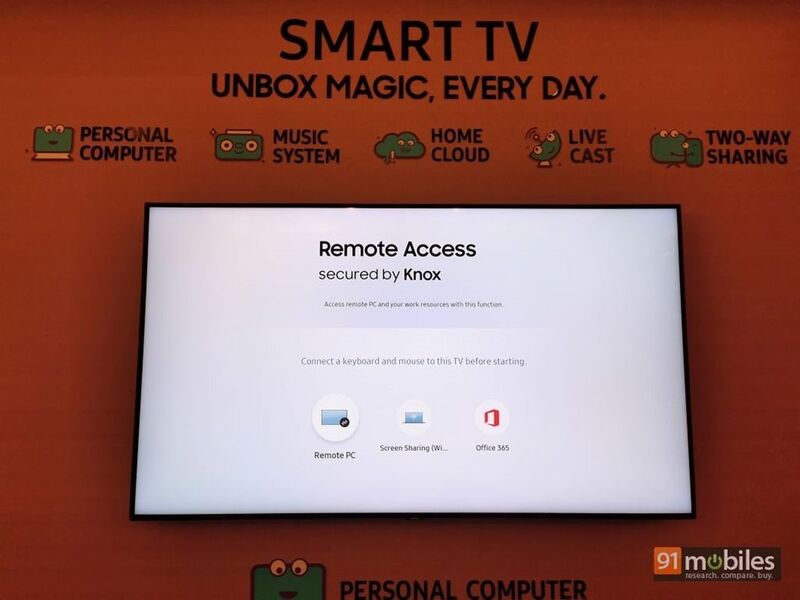 After launching the well-priced Super6 series of 4k smart TVs, the brand has now pulled the curtains off a new television series dubbed Unbox Magic. 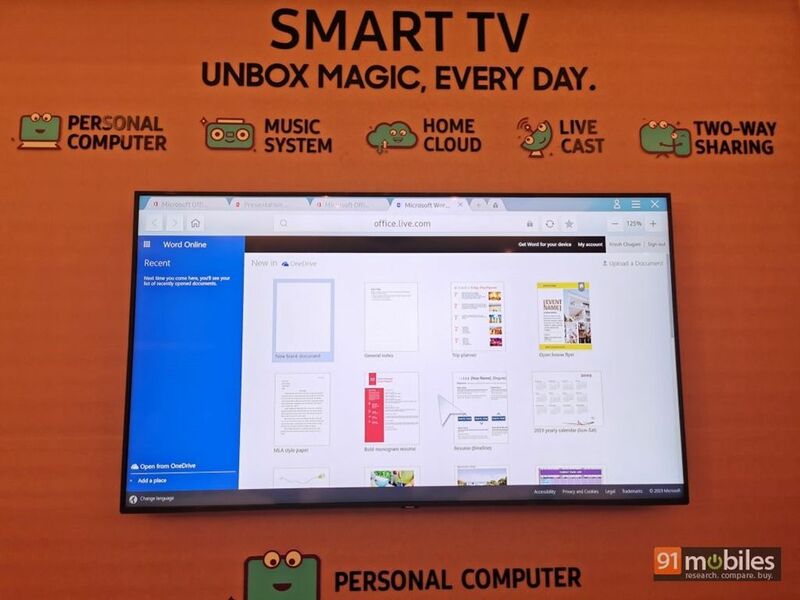 It’s worth noting that the brand is focusing on the new made-for-India software features for the latest range of TVs, and in fact, hasn’t even divulged the tech specs yet. So what are these features I’m talking about and are they really meaningful enough for the end user? Well, I managed to try them out myself, and here’s how I’ll sum up my thoughts. The new Samsung Unbox Magic TVs are headlined by five unique features. The prime among them is Personal Computer capability, which lets users access Office 365 on the new televisions directly, along with offering one-touch remote access functionality for the laptop. You’ll of course need to pair a keyboard and mouse with the TV to use such a feature properly. The feature promises to be secure as it comes with Knox. Do note that Office 365 subscription is required (after a month’s trial) to use the service. Samsung’s reason for offering this feature is quite thoughtful, as the brand disclosed that many households still don’t have access to a laptop or they might have just one laptop which one family member typically uses. 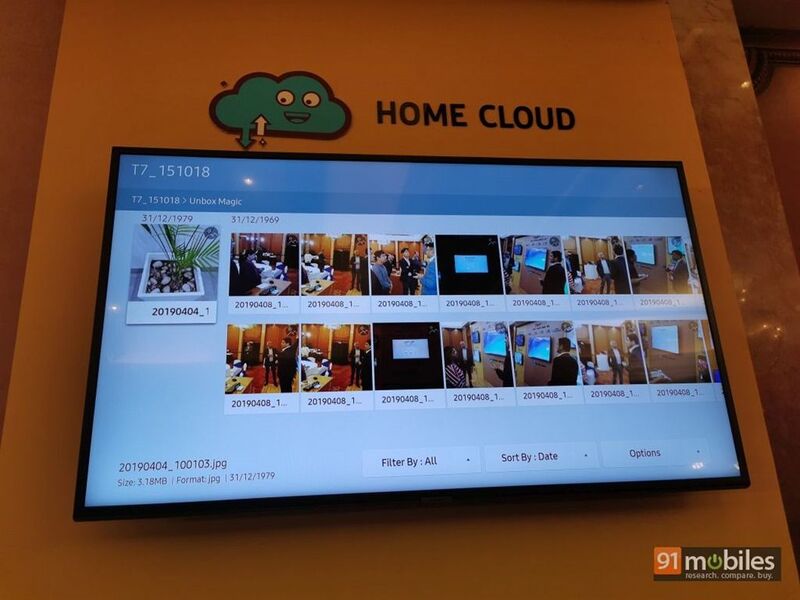 Interestingly, since the device connects to Office 365 via a browser, I believe it can also offer access to other cloud-based services in the future that are integrated into the television, such as Adobe Creative Cloud. The second feature is really interesting and one that makes me wonder why someone hasn’t offered it so far. I’m referring to music playback. 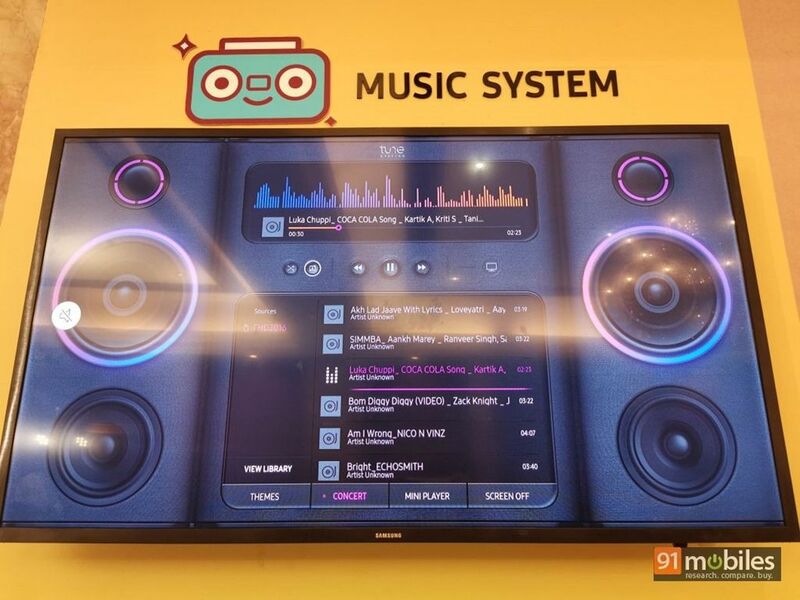 Essentially, the TV offers an intuitive music player-like interface that lists down songs from the external storage or from your smartphone (connected via Bluetooth) and play them. The best part? You can even turn the screen off. The new televisions do seem to offer rich sound, thanks to the presence of four speakers. Then there’s LiveCast. There are times when we are out and about, and want to share where we are with our family or grandparents back at home. While we could, of course, take a video or use platforms like YouTube or Periscope to livestream the same, Samsung’s Unbox Magic is making it dead simple to do it, and more importantly, watch it. 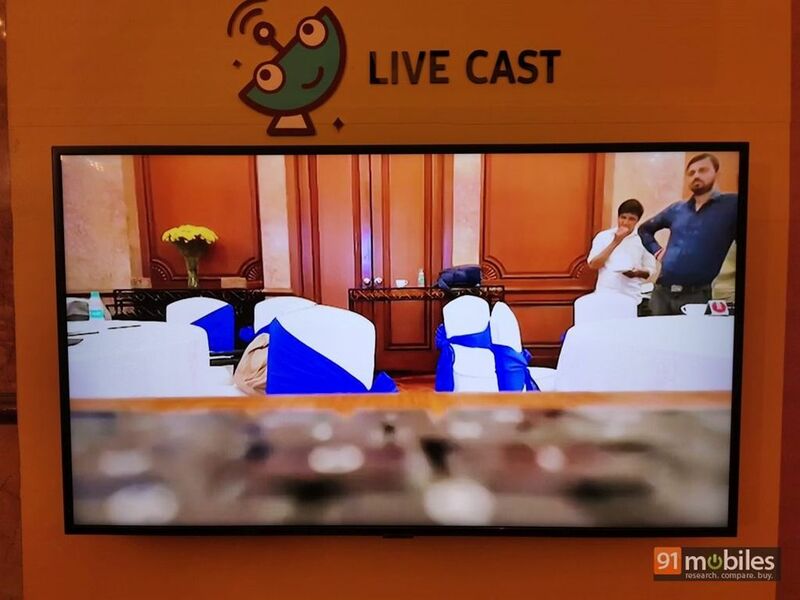 LiveCast lets you broadcast live footage from your smartphone to the TV via the Smart Things app. 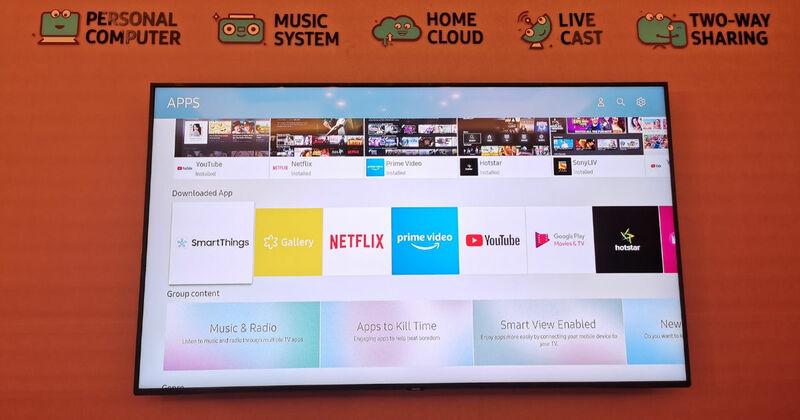 The remaining two features are related to how Samsung is making it easy to connect and share data from the phone to TV and vice versa. With an auto backup functionality (you’ll need to use external storage for the same), the TV automatically backs up photos and videos from your smartphone so that you can view them almost immediately. If you want to watch TV at odd hours, then the Korean giant is offering you a smart way to do the same. You can mirror the video on the TV on your phone with the Two-way sharing feature. You don’t even need an active internet connection for these options as the company is using Wi-Fi Direct functionality. 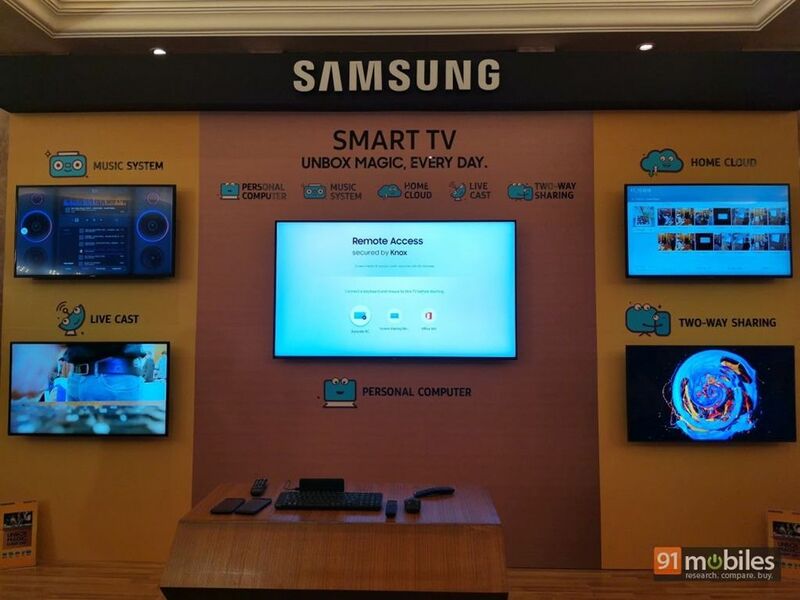 As mentioned above, Samsung has refrained from providing specific hardware information about its new range of TVs. 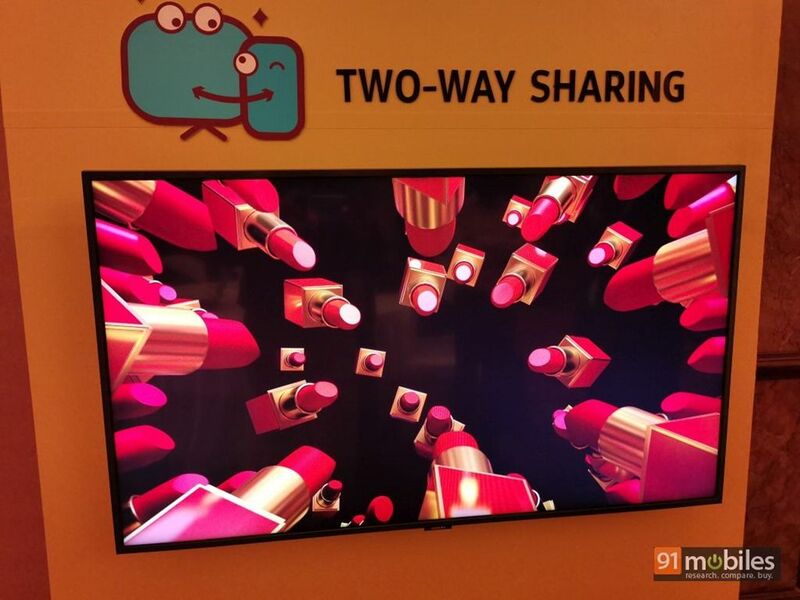 What we do know however, is the fact that these televisions will be available in different screen sizes, starting 32-inches and going all the way up to 82-inches. Additionally, these new features in the Unbox Magic series will make their way to all TVs that the brand will be launching this year. The company has also confirmed that it’ll also be bringing these features to some of the television sets launched in 2018. As such, none of these features is game-changing. But taken as a whole along with the fact that they’ve been natively integrated into the Tizen-based interface do make them compelling. We’ll surely be putting the new TVs through their paces, so keep an eye out for our review.